Global reinsurance giant Munich Re has said that the reinsurance industry remains challenging, but is anticipating the sector to trend towards stabilisation following reduced pressure on pricing and terms at recent renewals. One of the world’s largest reinsurance companies, Munich Re, has now reported its third-quarter 2016 results, stating that the firm is on track for the year following profit of €684 million, in a challenging operating landscape. Rates in the reinsurance market have been under pressure from a series of headwinds for some time, but a slowdown in rate declines, along with the slowed entry of alternative reinsurance capital that fuels both opportunities and challenges, has been evident in more recent quarters and renewals. Cedants have been making the most of the buyers market and securing efficient protection on favourable terms and conditions, but discipline from reinsurers and insurance-linked securities (ILS) players in response to market conditions has been evident, as the market searches for a pricing floor. “We continue to adhere to our strict underwriting discipline – as profit has always come before growth for us,” said Jörg Schneider, Munich Re Chief Financial Officer (CFO), in the firm’s Q3 2016 financial release. A message that was shared by a number of insurers and reinsurers during their third-quarter earnings releases calls, highlighting the necessity of discipline in the current market environment. Overall, the firm’s profit increased from €525 million in Q3 2015 to €684 million in 2016. While it’s gross written premiums (GWP) and net premiums earned both fell slightly when compared to the previous year quarter, at €12.34 million and €11.88 million, respectively, its reinsurance segment reported a GWP increase to €7.25 million in Q3. The group’s reinsurance business performed well in the quarter recording an operating profit of €870 million, compared with €425 million a year earlier. 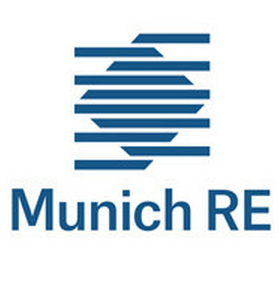 Overall, Munich Re’s reinsurance segment accounted for €692 million of its consolidated result for the third-quarter, which was in part driven by a “below-average” level of random incidence of major losses, said the firm. An absence of major losses in Munich Re’s life reinsurance business helped the technical result here, also. GPW increased across all of the firm’s reinsurance lines, and overall its reinsurance segment saw GPW increase by 1.9% year on year. While the market remains challenging the reinsurer improved the combined ratio of its property and casualty reinsurance segment in Q3, to 92.5% from 94.5% a year earlier. Reserve releases have played an important part of the performance of re/insurance companies’ during the softening landscape, for some more so than others. The ability to utilise reserve releases to bolster a lack of underwriting returns can help to smooth profitability in challenging times, but with reports of reserves running thin it could prove dangerous for some when losses start to mount. Munich Re’s Schneider noted the role of reserves in the current market environment. “The environment continues to be challenging. If interest rates remain low, the scope for implementing additional reserve releases will play an even greater role in reinsurance business,” said Schneider. Absent a truly substantial volume of capital exiting the space rates and terms are widely expected to remain pressured in the global reinsurance market, but the message of continued stabilisation will be welcomed by all in the industry. Insurers and reinsurers continue to pullback on unprofitable, or unattractively priced business lines as the softening market persists, and players will be hoping for a continuation of the recent slowdown in rate declines a the key January 1st 2017 renewal.